The Supreme Court has repelled challenge to the constitutional validity of Section 70 of the Information Technology Act 2000, which gives power to the government to declare any computer resource as ‘protected system’. The consequence of such a declaration is that only persons authorized by government will be able to access the system, and access by unauthorized persons is treated as an offence leading to imprisonment up to 10 years. The challenge was raised by a programmer, who claimed that he had developed an e-governance program for the Government of Kerala named ‘FRIENDS’. The program was commissioned by the Government through Microsoft Corporation of India (Pvt) Ltd, which agreed to provide the application software free of cost. The appellant in the Supreme Court was a member of Microsoft’s Developer Forum, and he developed the FRIENDS program on contract with Microsoft. The government entrusted the management of the program with another state agency, Centre for Development of Imaging Technology(C-DIT). Meanwhile, disputes arose between the appellant and another private agency regarding the copyright of the software. C-DIT also claimed rights over the software, and instituted a civil suit for declaring its rights. On 27.12.2000, the government declared the FRIENDS software as a ‘protected system’ exercising powers under Section 70(1) of the IT Act. In that backdrop, the appellant approached the High Court of Kerala, challenging the notification declaring the software as ‘protected system’. The validity of Section 70 was also called into question, on the ground that it delegated excessive and unfettered powers to the executive to arbitrarily declare any software as ‘protected system’. The high court did not find Section 70 to be suffering from vice of excessive delegation. It held that the power under Section 70 is circumscribed by Section 2(k) and 17(d) of the Copyright Act. Section 2(k) of the Copyright Act defined “government work” and Section 17(d) of the Act held that copyright of government work vested with the government. On that basis, it held that power under Section 70 was available only with respect to “government work”. The challenge to the notification was rejected noting that the appellant was yet to establish his rights over the software. The matter was further carried to the Supreme Court. Senior counsel R Basant, appearing for the appellant in the Supreme Court, invited the attention of the court to the fact that Section 70(1) underwent amendment in 2009. After 2009 amendment to Section 70, a software can be declared as a “protected system” only if its incapacitation or destruction have a debilitating impact on national security, economy, public health or safety. This, according to him, was an indication that the provision suffered from constitutional fragility, which prompted the legislature to step in with an amendment to render clarity to the scope of power. It was also contended that the appellant was the developer of the program, and had the right to be acknowledged as the first owner of copyright. Senior counsel Pallav Sisodia, appearing for the state of Kerala, contended that Section 70(1), as it stood at the relevant time, had to read along with Section 2(k) and 17(d) of the Copyright Act and was valid. The appellant’s claim for first ownership of copyright was contested on ground that he had developed the program on contract with Microsoft, and hence Microsoft had to be treated as first owner by virtue of Section 17(a) of the Copyright Act. 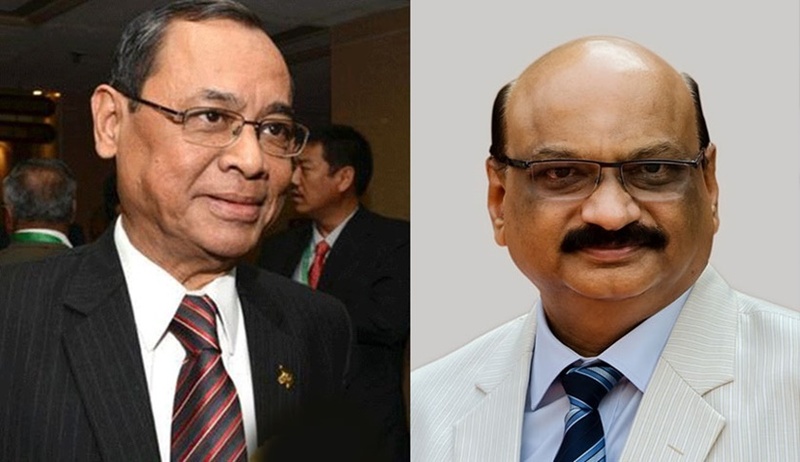 The bench comprising Justice Ranjan Gogoi and Justice Mohan M Shantanagoudar did not accept the contentions of the appellant. The court agreed with the conclusions of the high court regarding the validity of Section 70. “Plainly read, the power of declaration of a “protected system” may invade a copyright which may be vested in a private owner. However, such a situation is taken care of by the provisions contained in Section 2(k) and 17(d) of the Copyright Act. The balance is struck by Section 17 between copyright pertaining to any other person and copyright vested in the Government in a “government work”. Section 70 of the IT Act, therefore, cannot be construed independent of the provisions of the Copyright Act; if Section 70 of the I.T. Act has to be read in conjunction with Section 2(k) and Section 17 of the Copyright Act 1957 the rigours that would control the operation of Section 70(1) of the IT Act are clearly manifested,” the court observed. The appellant’s contention that 2009 amendment was an indicator of inherent constitutional defect in the provision at the relevant time was also rejected. The court held that the amendment was an attempt to circumscribe the power even further than what was prevailing under the pre-amended law, by narrowing down the ambit of “government work”. The challenge to the notification declaring FRIENDS software as ‘protected system’ was repelled noting that the appellant had no first ownership rights. The admitted/pleaded case of the appellant was that he was enlisted by Microsoft to develop the software for which it received due consideration from Microsoft. If that be so, on the appellant’s own pleadings in the writ petition, it would not be entitled to claim copyright in the FRIENDS application software under Section 17(a) of the Copyright Act, said the bench.